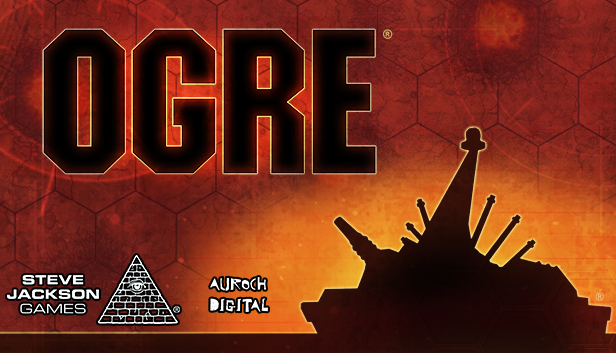 Ogre is a turn-based strategy game of mechanized warfare, requiring tactical decision-making and strategic thinking. It’s the official video game adaptation of the Ogre tabletop wargame from Steve Jackson Games, developed by Auroch Digital. Set in the near future, hovercraft, tanks, infantry, and giant cybernetic behemoths called Ogres take part in a seemingly endless world war. You take command and vie for supremacy upon the irradiated battlefields of The Last War. Ogre’s time-tested gameplay has captivated gamers for over forty years. It remains as enticing as ever in the official video game adaptation. Explore the lengthy single player campaign (created for this digital edition by Steve Jackson Games), engage in fiendish single-player skirmishes, and get social with the online and local multiplayer modes. This lovingly crafted adaptation of the original, critically acclaimed tabletop game truly is the definitive digital edition.